Motorized Shades | Smart Home Products | Solar Heat Gain Coefficient - Window Products Management Inc. 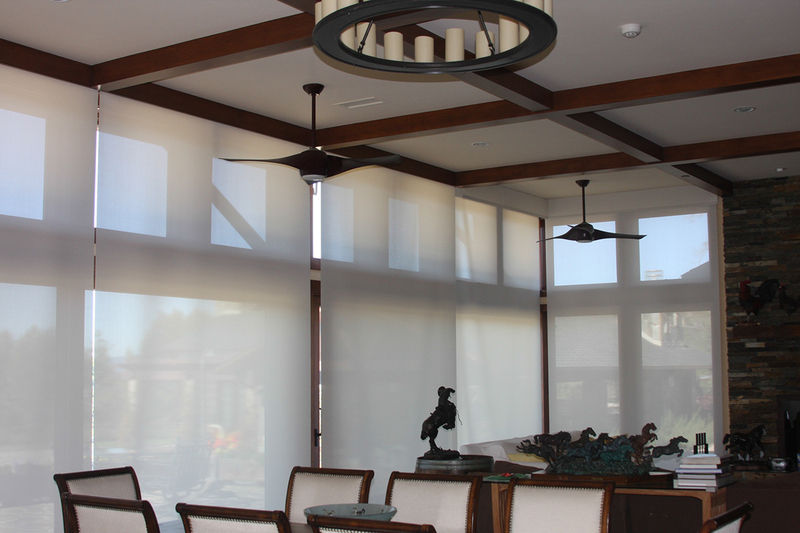 Window Products Management (WPM) was hired by a Los Angeles developer to design and install a series of motorized shades throughout his Ojai California ranch estate. This very special home has been featured in several publications because of its sustainable design that included using materials from the excavation site in the construction of the home. Working with the owner, WPM selected a light colored solar screen material because it provided both an excellent solar heat gain coefficient for solar rejection, as well as high visible light transmittance for daylighting. It was also important to the client that the material was GreenGuard Certified for indoor air quality. All of the motorized shades in the home are controlled by a Crestron Home Automation System and they operate themselves to a pre-programmed schedule so that the occupants do not have to think about raising or lowering the shades unless they want to interrupt the schedule. 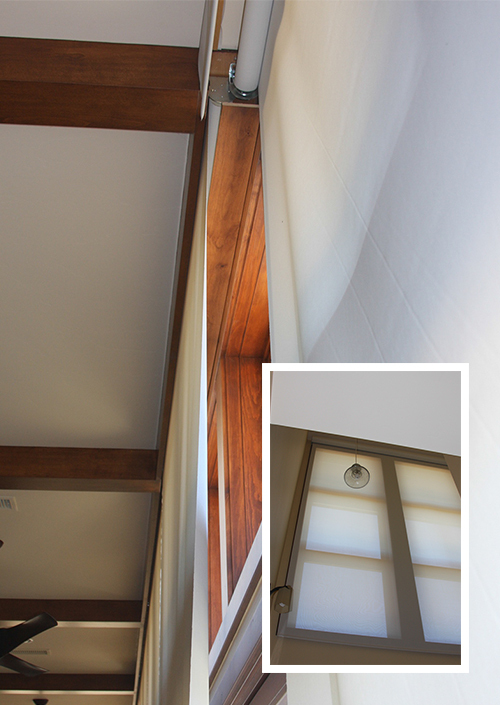 The shades are concealed within ceiling pockets with wood veneer closer plates and they completely disappear from sight when not in use.